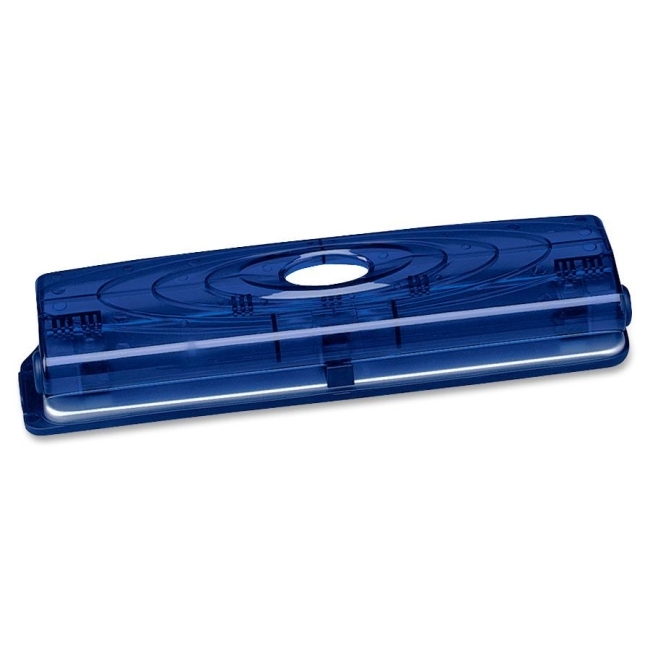 Translucent, three-hole punch features a strong plastic handle and adjustable line guide. 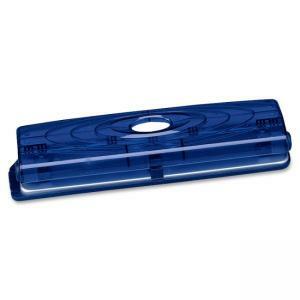 Use to punch three 1/4" holes in up to 12 sheets of 20 lb. paper. Rubber base protects your worksurface.